Back when Samsung released Galaxy Tab P3113 tablet, it was slammed for being too slow. 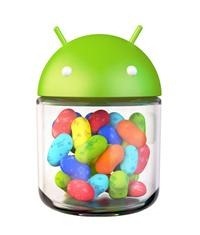 Today, we have some good news for you as folks at xda have leaked Android 4.1.1 Jelly bean for the tab P3113. Download size is 327MB and you can get it from here. In case, you are on some other custom ROM like Cyanogenmod 10 or not on the latest stock firmware, you must download and flash this, which is the latest stock ROM (P3113UEBLH2). How to flash? Copy the firmware to your SD card and put your P3113 in recovery mode (power button+ power down). Select the firmware in recovery mode and flash it from there.